When I was much younger, logic puzzles were some of my favorite things to do. It was a brain-burning challenge of having limited information and trying to solve the answer, and if I could race someone doing the same logic puzzle, well that was even better. As I have grown older, I realize that I don't do these as much as I used to. I don't know if I got burnt out on them, or if I switched to word puzzles, but it hit me the other day and I started to miss them. Recently, Looney Labs re-released one of their classics called Zendo, and I knew I wanted to play it! 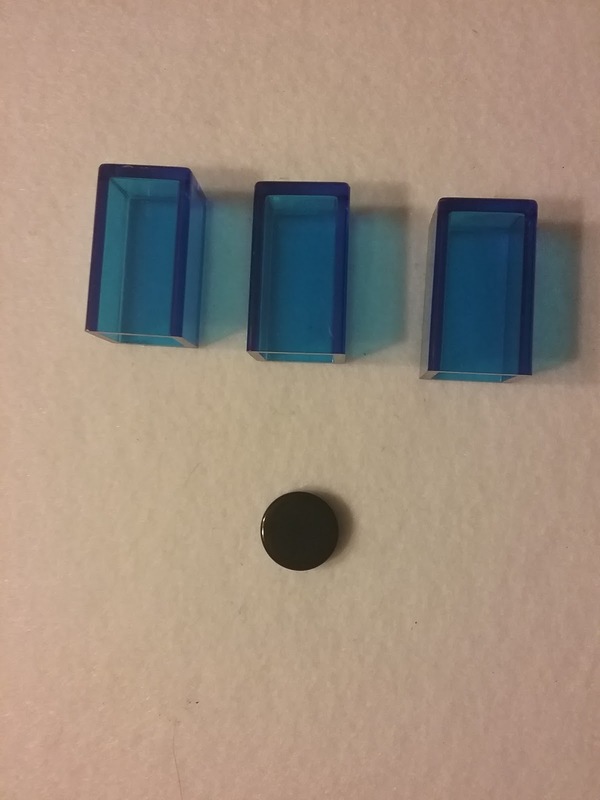 Zendo is an inductive logic game for 2 to 6 players, ages 8+. (However, younger players can certainly play this.) It takes between 15 and 60 minutes to play and retails for $40. 1. Build a new structure from one or more pieces, arranging the pieces in any fashion. 2. Choose "Tell" or "Quiz." 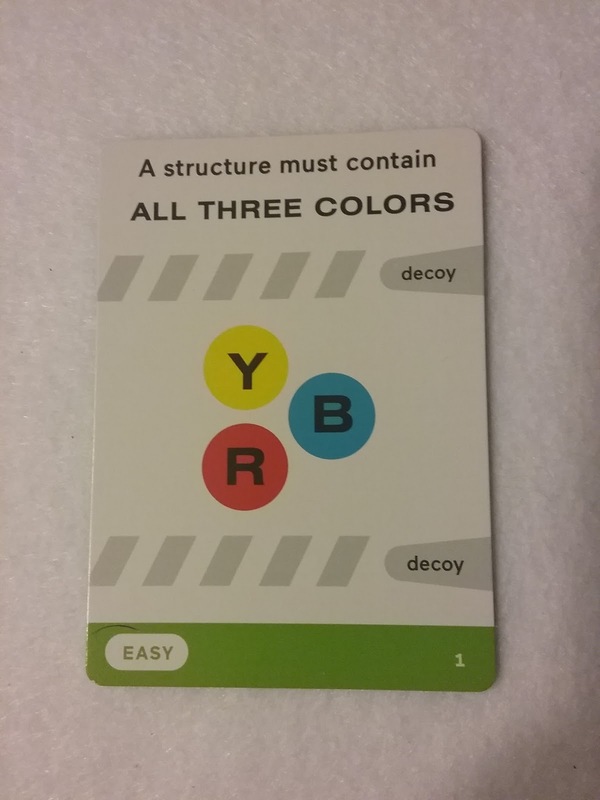 By choosing "Tell," the Moderator will mark your structure with a white or black token to indicate if it follows the secret rule. By choosing "Quiz," all other players guess (in secret) if your structure follows the secret rule or not. 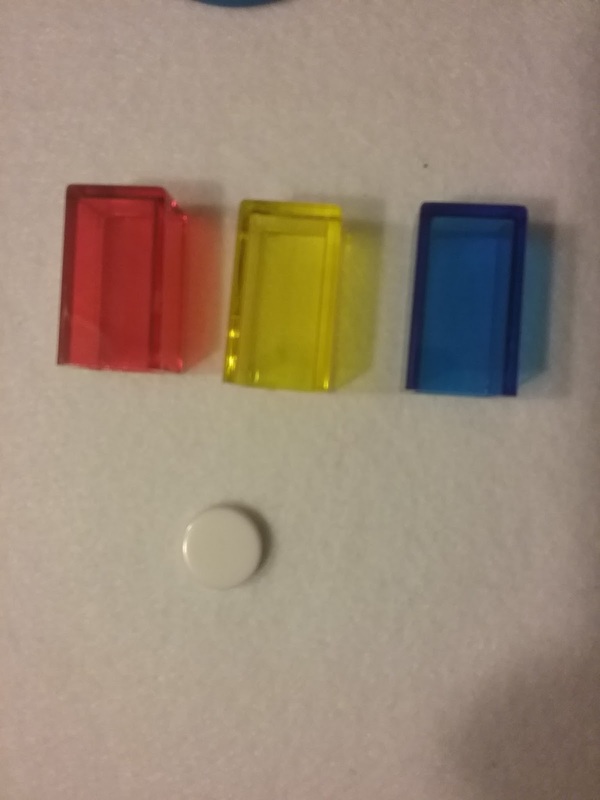 Each player that guesses correctly is awarded a guessing token. 3. Make a guess or pass. If you have a guessing token, you may make a guess on what the secret rule is. The Moderator then can disprove your guess in one of the two ways - 1. By building a structure which follows the rule but disproves your guess or 2. By building a structure that does not follow the rule but represents your guess. The game ends when the Moderator is unable to disprove a guess. 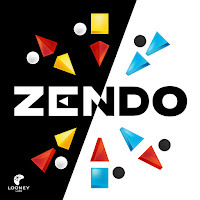 I have always heard about Zendo and Pyramid Arcade from Looney Labs, but was hesitant to try them, just because they weren't really a "game" to me. They were either a box of mini-games or were just a "puzzle." After playing around with Zendo, I think my initial assessment of the type of product was accurate, but I was dead wrong about the fun level. The game itself definitely plays like a puzzle you are trying to figure out before anyone else can. I like that you can scale the difficulty to make it easier or harder depending on the age/experience of the other players. That being said, I must admit that not everyone I played the game with found it enjoyable. Some people like solving a logic puzzle, and some do not. I did, however, find this game to be very successful when playing with children of different ages. 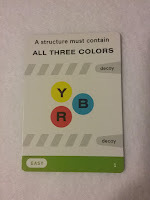 The colors were bright and shapes were tactile and provided a very hands-on approach to problem solving. It is for that reason that I think parents should play this game with their children and/or teachers should play this game with their class. It encourages critical thinking and will help their young minds grow. This game was provided to me for free by Looney Labs in exchange for an honest review.